Agora – an Egyptian organisation set up in the early days of the 2011 revolution that organises community festivals and women’s micro-enterprises in jewellery-making; its project with Tillt in Sweden is using social media to highlight the sexual harassment of women. L’Boulevard – a Moroccan music organisation that has created studios and concert spaces on an industrial site and promotes the country’s leading rock and alternative festival, giving a platform to thousands of young musicians from the region. El Madina – an Alexandria-based community theatre and training organisation involved in street carnival, festivals and development projects, currently working with people in the Karmouz district of the city. It’s hard to give much sense of this work in a few lines, particularly since the projects are still under way. You can talk about the risks involved, the artists’ imagination or the commitment of people whose principal resource is their time, but those are just part of what’s involved and it’s all rather abstract. Some of this work will appear as case studies here or in the project book next year. 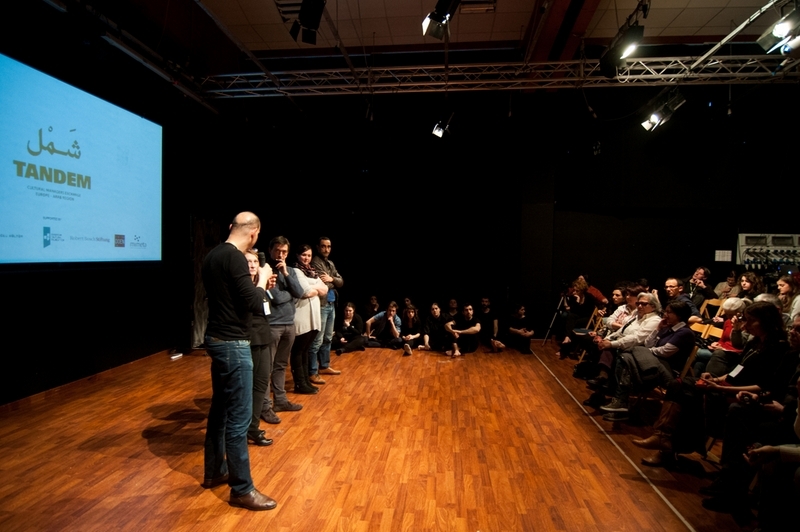 For now, here is a short documentary about one of last year’s Tandem Shaml projects, a collaboration between Eclosion d’artistes (Tunis) and Teatro dell’Argine (Bologna). 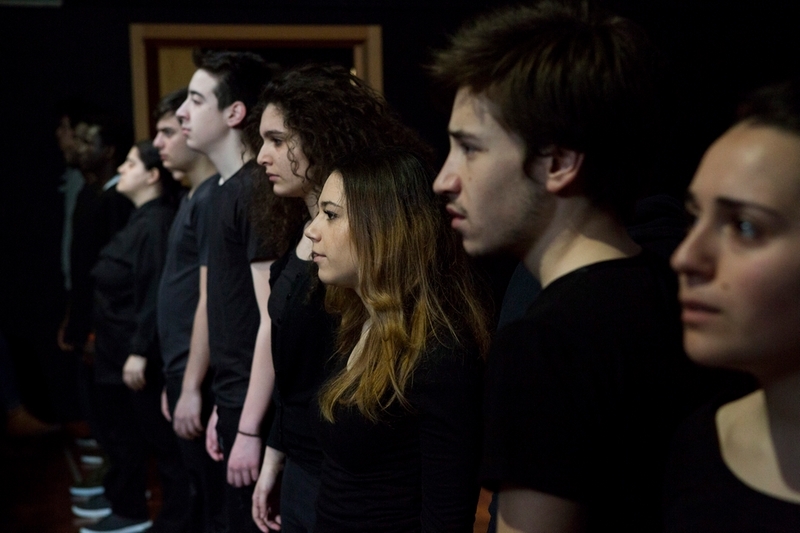 Involving people who have experienced migration across the Mediterranean, Lampedusa Mirrors is community theatre at its most serious and moving. The problems of migration are complex and difficult. But art of this quality cuts through rhetoric, self-interest and deceit to affirm the common humanity that requires us to solve them. The film takes 25 minutes to watch, but anyone with an interest in community art or the realities of migration will find their time amply rewarded. Really inspiring. Thank you. You are so right about the video; totally worth watching! I will be sharing it and sending it to friends.